When working with text files such as source code, the “copy-modify-merge” workflow method is preferable to the “lock-modify-unlock” method because it allows for two developers to work on the same file simultaneously as long as their edits do not conflict each other. However, it is important to remember that this method does not work with unmergeable files like binary files. How do I add a new merge request? To add a new merge request, simply go to the Merge Requests sub-tab of your desired SVN repository. Then, select the New Merge Request button to the right of the screen. From there, the source branch can be selected from the From drop down menu. The target branch can also be selected under To. The green circle between the From and To sections can be used to reverse the selections. 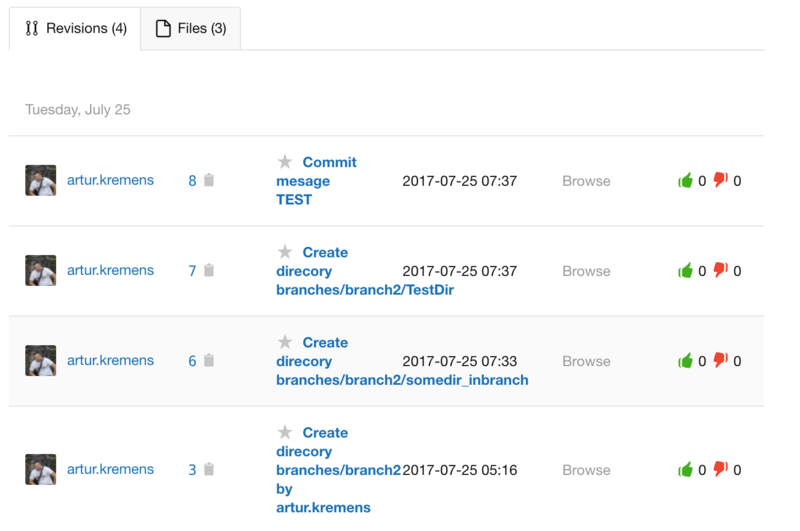 The title of the merge request will be automatically generated from the title of the first commit on that branch. If that is not ideal, the title can be changed from the textbox it is located in. 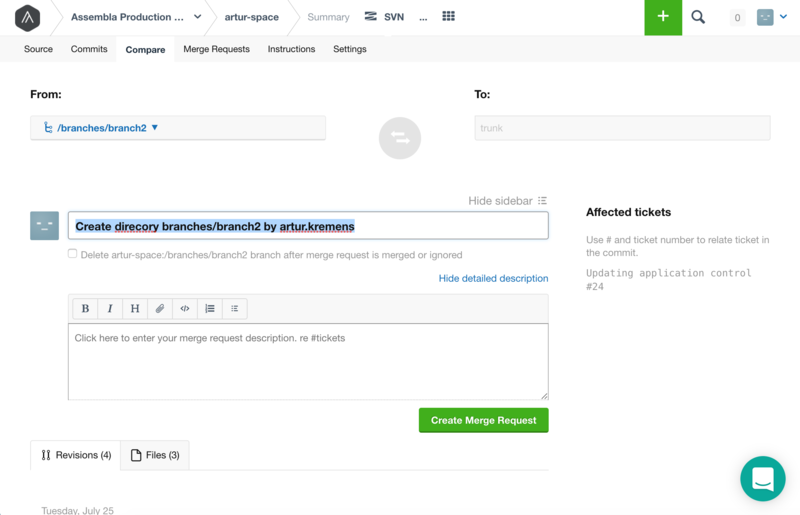 Additionally, in the description for the merge request, tickets can be referenced with the same syntax used to reference tickets in commits (re #ticket_number). If you would like to delete the source branch after the merge request is either merged or ignored, simply check the box under the merge request's title. The commits and affected files on the source branch will be shown at the bottom of the screen and the Affected tickets section on the right of the screen will show all of the tickets referenced in the commits to that branch. Once the target and source branches have been chosen, select Create Merge Request to finish creating your request.